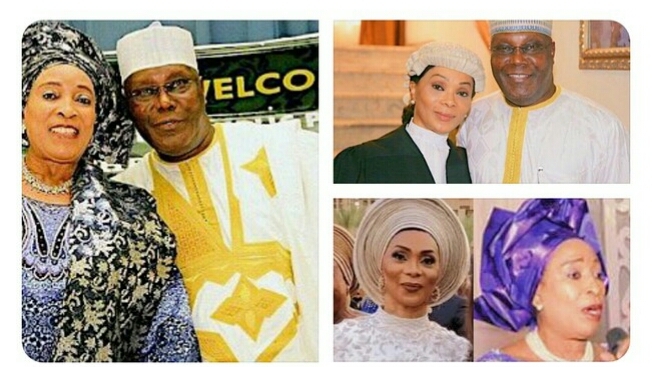 Media personality and fashionista Ebuka-Obi Uchendu has reacted to the emergence of Alhaji Atiku Abubakar as the official flagbearer of the peoples democratic party in next years general elections. His major concern is however who is going to be the former vice president's official first lady amongst his two wives shoud he win next years presidential polls. WHO WILL BE ATIKU'S FIRST LADY IF HE WINS? 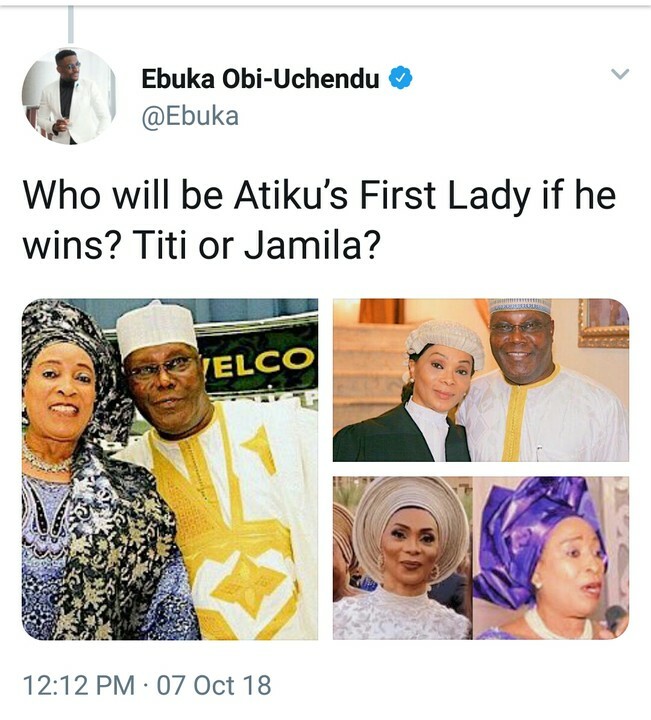 TITI OR JAMILA? "QUESTION THAT KEEPS ME UP AT NIGHT"